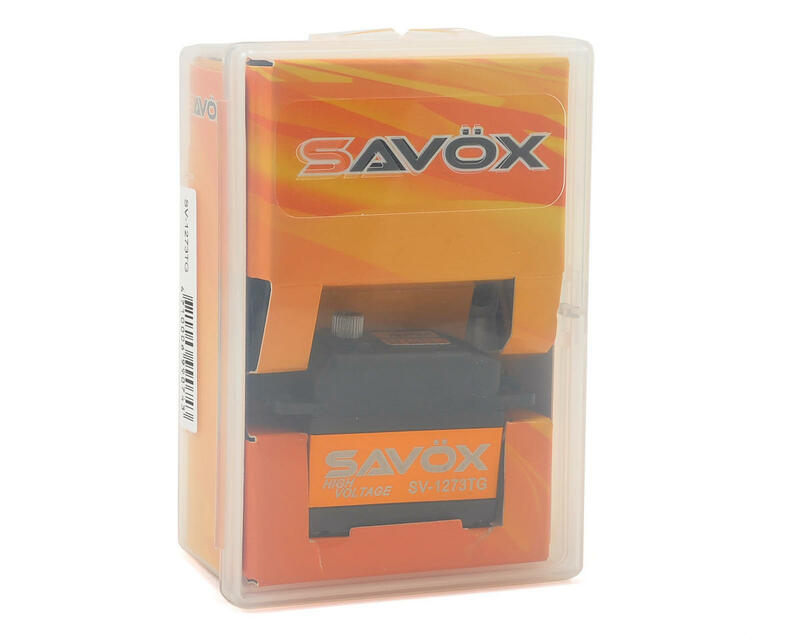 This is the Savox SV-1273TG Digital "Ultra Speed" Titanium Gear High Voltage Servo. Extremely fast at .065 sec/60 @ 7.4V. 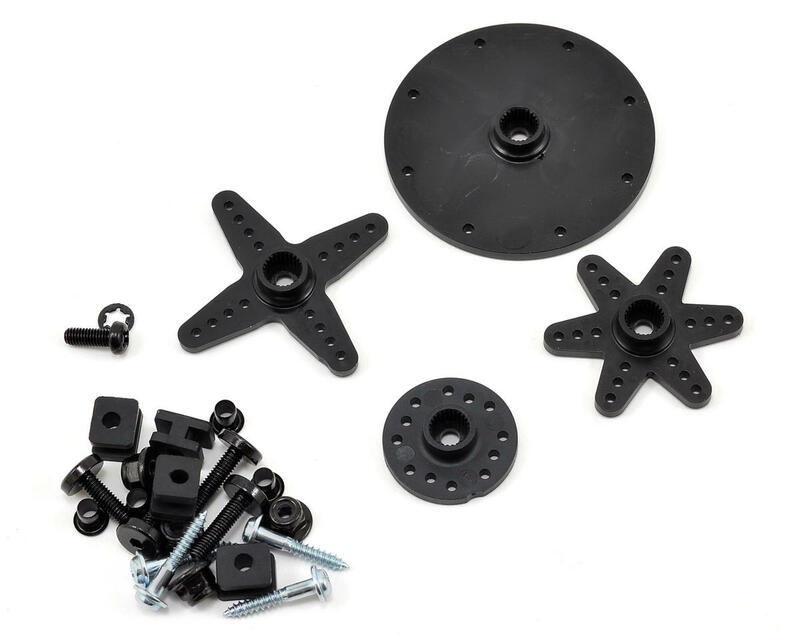 Super strong and precision made titanium gears provide durability that will survive heavy use. Coreless motor delivers smooth, fast, and efficient performance. Special design for high voltage 2S LiPo operation. Water-proof with 4 silicon seals. Servos are totally green – from materials to production, these servos are environmentally friendly. Ideal for large-scale airplane, jet, and 1/5th scale surface. Bought it at Wolcott Hobby in Ct for my 801xt and 8t 2.0 and have had no problems for a little over a year now. When I'm bashing them with pro-lines trencher x's on this servo has more than enough torque for them. When it comes time to race this servo is fast and strong as hell !!!! 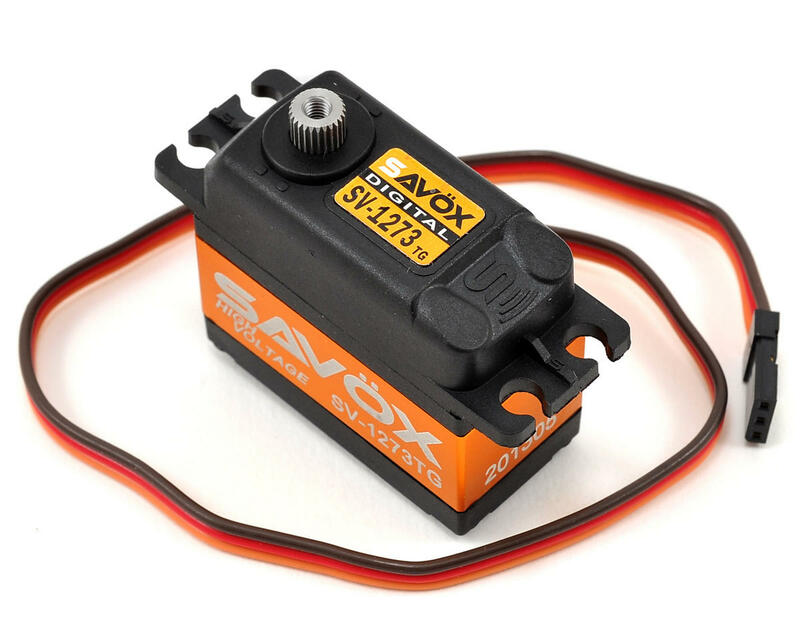 Savox is definitely the best brand in my mind when it comes to servos I've got them in all of my rc's. Just started temporarily using this servo in my 1/8 scale buggy in the brake/throttle position. The servo works well and I have had no issues with it. BUT!!!! The servo is crazy noisy with the buzz it often makes as it continually hunts for center, that sound drives me crazy and I tend to buy servos that don't do that. Not a real major working issue but an annoyance!